Bethesda has announced that Fallout 76 update 1.0.2.0, which was originally scheduled for December 11, 2018, has suffered a minor delay on consoles. The studio said that the update needs further testing on the PlayStation 4 and Xbox One because developers are unable to “hotfix unintended issues” as quickly on consoles as they can on PC. The update will now release on Thursday, December 13. (Added Dec 6) Ballistic Fiber: Can now appear in Train Station Vendor and Ammo Vending Machine inventories and can be purchased for Caps. (Added Dec 6) Vendors: Added guaranteed bulk repair components to Train Station Vendors. (Added Dec 6) Workshops: Higher-level Resource Collectors now generate Ore instead of Scrap. Ore can be smelted into varying amounts of the related type of Scrap using some Acid at a Chemistry Station. (Added Dec 6) Workshops: Resource Collector accrual rates and carrying capacities have been reduced for each resource, including Ammo and Fusion Core Collectors. (Added Dec 6) Scorchbeast Queen: Encounters with the Scorchbeast Queen have been rebalanced to better accommodate 8 high-level players, and her damage mitigation has been reduced from 50% to 30%. (Updated Dec 6) Weapons: Automatic weapon damage has been increased by approximately 20% across the board. Additionally, weapons that have been modded to become automatic have received a 5% damage increase. (Added Dec 6) PS4: Addressed an issue that could cause reductions in performance on PS4. (Added Dec 6) Caps: Addressed an exploit that could allow players to gain Caps at a faster rate than intended. (Added Dec 6) Workshops: Addressed an issue that could prevent enemies from attacking a Workshop that has been claimed by a player. Enemies – (Added Dec 6) Robobrains: Now use their own loot list instead of the Sentry Bot loot list, and have a chance after level 40 to drop the Tesla Gun plan. PVP – (Added Dec 6) Damage Scaling: Addressed an issue that could cause players above level 50 to deal less PVP damage than intended while using high-level weapons. (Added Dec 6) Battle Bots: Fixed an issue that could prevent this event quest from resuming correctly if the player leaves and then returns to the area. (Added Dec 6) Cold Case: Fixed an issue that could prevent the quest from progressing to the next step despite repairing Freddy’s ID. (Added Dec 6) Death from Above: The Scorchbeast Queen will now correctly flee the area if the timer expires and the quest is failed. (Added Dec 6) Photomode: Characters no longer use incorrect poses while certain weapons were equipped in Photomode. 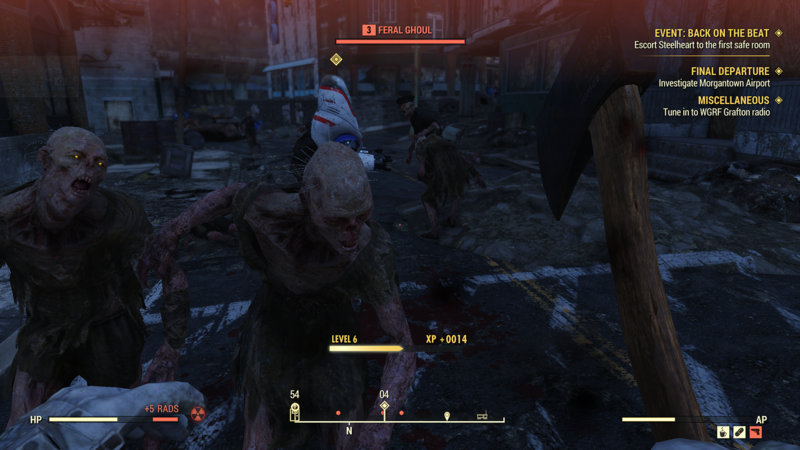 For more on Fallout 76, check out our previous coverage.